- When a dream is unconscious. The contents of the unconscious, as opposed to the contents of the preconscious, are not realized at will by a person. What comes into a dream from the preconscious and what comes out of the unconscious will differ as follows: if spiritual life is reflected in a dream, it affects all feelings, desires, and senses experienced by a person, whereas unconscious dreams contain only hidden desires since they are a domain for secret desires. According to Freud's theory, unconscious desires are feelings unacceptable in respect to "ethical, aesthetic, and social norms." These desires are self-centered. • hatred, purely negative motivational patterns ("the desire for revenge and death, directed to people close in life and loved ones: parents, siblings, spouse, own children, which is nothing out of ordinary. These rejected by the censorship desires are said to arise from the gates of hell; in a woken state, no censorship against these visions does not seem to be harsh enough "). The first one is condensation. The dream is shortened. One character in a dream may be a representation of several people in real life. The second component is transition. Important human thoughts can become something appearing insignificant in dreams, and vice versa. Deformation is the third element in interpreting our dreams. The fourth component in dream deciphering is reconstruction. Dreams do not dwell on known principles of the waking state. The content of dreams must undergo transformation to translate their content. During the process of dreaming, the connections which exist between the elements when being awake are lost: thoughts are transformed into images, abstract elements become concrete. Finally, the last component of this is cycling. If a dream is a product of unconscious activity, it is also very close to the conscious activity in the waking state when we try to use reprocessing, or cycling, to justify our dreams using common logic. All these processes have a goal to give our dreams some degree of disconnect in order to conceal their real meaning within their hidden content. 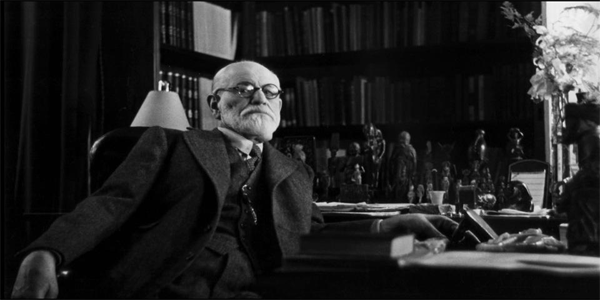 Freud's theory is interesting and surprisingly coherent, but it is not an absolute answer, but merely an attempt to unravel the mystery of dreams. This theory is relevant and in demand even today, thus the study of dreams lives on.